As a health coach, I get asked lots of questions about training, nutrition, health and fitness. By far the most common theme is weight loss (or as we prefer to talk about excess fat loss). I’m baffled at some of things people ask me. Not because they’re silly questions. But because someone has told them something or they’ve read something which is clearly utter nonsense! I’ve learned a thing or two from 10 years as a strength and conditioning coach and felt it would be helpful to bust some myths. Fat loss is not quick, easy or undemanding! Unfortunately, we live by the web of lies that we are told through social media or “that story” handed down from a friend of a friend about their friend “who lost, like, 10 stone in 10 days”. Most of this is utter BS and there is no secret shortcut formula. The first step to achieving your fat loss goals is realising this. 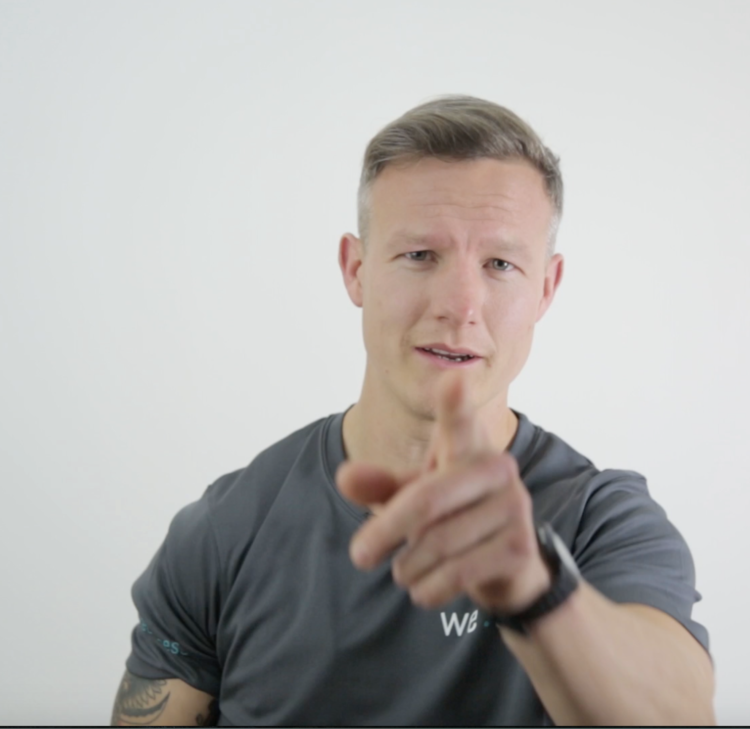 Weight can be lost in all sorts of ways; reduced hydration, muscle wastage, fat loss, going to the toilet… all of these create a lower number on the scales but what we are usually after when we say weight loss is fat loss. People who want to lose “weight” generally want to lose fat. Excess, unwanted fat to be precise. Make sure you’re clear about your goals. If you REALLY want to lose fat, ditch the scales. You need to understand that if you replace fat with muscle, you might stay the same weight, or even gain weight, but get smaller. Scientific studies suggest that the quicker we lose weight, the more likely we are to put it straight back on. Crash or ‘yo-yo’ diets have these names for a reason! The weight loss achieved through short-term fad diets comes primarily from water and muscle wastage, not fat loss. The NHS recommend 1-2 lb per week as a healthy rate of weight loss. You don’t need to calorie count, weigh food and be obsessive about numbers to lose fat. However, having a general awareness of the amount of calories in food and how many calories you are consuming will help you lose weight and keep it off. It’s about informed choices. The more you understand, the more you’ll make the right choices for you. Education. Education. Education. Check what your required daily calorie intake is just to see roughly where you are in comparison. If are overweight it is highly likely that you are above it. Simple as that. The most important thing is to make sure is that you’re eating the RIGHT KIND of calories, and remaining within your recommended daily intake, which keep you feeling full. This will stop you making poor food choices when “starving marvin” creeps up. For example, the average required daily calorie intake for a woman is about 2,000 calories (note this may vary depending on a number of factors but is a useful starting point). Using up all those calories on a pizza and a bag of Haribo before 11am isn’t going to give you a sustainable energy source to get you through the day! On top of that, you’re more likely to eat more crap later. Get your calories from the good stuff such as wholegrains, good fats (a whole topic in itself – see myth 5! ), proteins and the likes. We need some fat as part of a balanced and nutritious lifestyle. Fat is a major source of energy, helps your body absorb vitamins and minerals and is essential for muscle movement. When we talk about losing fat, we really mean “excess” fat. You can get good fats from vegetables, nuts, seeds and fish. Think avocados and nuts. You should avoid ‘bad’ fats. ‘Trans’ fats should be avoided completely. This is manufactured crap your body can’t use – often listed as “partially hydrogenated oil” on food labels such as margarine (avoid like the plague in our view). Limit your saturated fats such as red meat, whole milk and cheese. Note limit. No need to eliminate. Remember it’s about balance! A friend of mine recently said: “I love training early on a Saturday morning because it means I can eat a pizza for breakfast”. Obviously, this isn’t going to help him lose fat. Numptie. Stored fat is our body’s reserve energy store. In order for the body to go into its energy reserves we need to expend more than we take in. In simple terms, enable our bodies to use up more energy than it consumes. Exercise will help you burn excess fat but you need to be realistic about how much fat you are burning during exercise. Here are some helpful markers and principles to bare in mind. Poor food choices can easily wipe up all the fat loss gains you’ve made by exercising. Balancing exercise and healthy eating is key. Myths busted? Let me know your thoughts. Promise, I’ll listen!